Weight loss is a tricky game. Some people are gifted with a physique that even Beyoncé would envy while weight loss can be extremely difficult for many. There are many who make all the right moves, yet the needle on the scale seems to be stuck at exactly the weight they don’t want to be at. It is important to realize that there are several different reasons why that could happen; there is no cause to give up on your weight loss goals. We all require a certain amount of fuel to keep our bodies going on any given day. It’s important to realize that while your caloric intake may be bound to go up to an extent because you are working out, you are defeating yourself if you are consuming the exact same amount of calories back. In fact, it could even be that you are consuming more than what you have burned off, which could result in a slight gain. Regardless of the situation, you will not see any positive momentum on your pursuit of weight loss if you continue to take in the same amount of energy as you are burning through your workouts. The important part of any weight loss program is that if it involves monitoring your caloric intake – and it should, to an extent – you need to do it safely. Cutting yourself down to 1,000 calories daily when your normal intake level is somewhere around 1,700 calories daily will mean that you are taking in far too few calories to keep your body going. You need to examine the quality of the calories you are taking in as well; ensure you are eating well-balanced meals instead of taking in sugary carbohydrates. Sometimes, your body simply does not burn calories the way your friends’ bodies might. You might have some sort of hormonal disorder, or your thyroid might be sluggish. There are reasons why many people working in the health field recommend you talk with a doctor before taking on a weight loss program. A visit with your doctor and some tests may give you the information you need to get on the right track. The body has a tendency to hang on to the material it needs, whether that’s fat or muscle. If you are at a healthy BMI (body mass index) and your body fat percentage is also at a good level, it can be quite challenging to lose that extra bit of weight. As a result, your body might not let the extra weight go, even though you might want to lose a few extra pounds for vanity’s sake or to see improvement in your athletic performance. Those that attempt to lose weight simply to shed a few extra pounds often find that, in spite of their best efforts, they struggle. It may be that their bodies just don’t want to let go of those last extra pounds. If you are at a healthy BMI (body mass index) and your body fat percentage is also at a good level, it can be quite challenging to lose that extra bit of weight. We tend to be focused on numbers rather than results. That makes sense; if we can’t see a change in the number on the scale, that tells us that we have not lost weight. That has been the first indicator for all of us about our level of health. However, when it comes to weight loss, it is important to realize that a drop in body fat percentage and a sense of our clothes being looser can often be more telling of weight loss than an actual drop in the scale’s numbers. Sometimes, though, we tend to fake ourselves out when it comes to perceiving weight loss; sometimes we question whether the sense of our clothes being looser is simply a part of our imaginations. It’s important to recognize the importance of losing inches, even though the scale indicates no weight loss has actually occurred. A loss of inches indicates that someone has lost fat mass and potentially gained muscle, which is quite important. In fact, a loss of inches can be even more important than a loss shown by the scale because it shows that more substantial changes have occurred. As with most efforts you might put forth in life, consistency is key. Without a consistent effort, you will not see results. This is especially true when you consider how to lose weight. There is no way you can lose weight if you are not consistent in your efforts. Making a consistent effort includes dealing with your diet and with your exercise level as a whole. If you need to, schedule exactly when and where you are going to work out. Plan out your meals ahead of time so that it has exactly the right caloric balance that encourages weight loss for you. It is also important, when looking at diet, that you follow appropriate health guidelines when setting up a daily meal plan. There is no sense in establishing a consistent meal plan that is packed with nothing but carbohydrates and sugary substances when you are trying to lose weight healthfully. The key is to find an ideal balance of minerals, vitamins, healthy fats, and proteins; without that balanced approach to your diet – and consistently meeting your nutritional requirements – it will not matter one iota how consistent your exercise regime is. You need to find consistency in all things when it comes to both diet and exercise; otherwise, you will find that progress is simply not being made at all towards your weight loss goals. Water is the universal solvent, and it goes a long way to helping flush the toxins out of your system that may have accumulated over time. These toxins may prevent you from meeting your weight loss goals more than anything else. As you might expect, these toxins need to be flushed in order to ensure that your system is in balance. Without that balance, you need to determine what the next steps might be in trying to progress on your weight loss goals. Besides, drinking water helps you stay hydrated and helps keep your joints and muscles supple. That will then let you enjoy your exercise routines to their fullest potential. It could also be that you allow the bad habits – the treats that you tend to enjoy, such as ice cream, a glass of wine, or cake – to become more a part of your routine than eating healthfully. Being more consistent with the bad habits than you are with the good will also hinder your weight loss efforts. Running builds your cardiovascular endurance. Weight training builds your strength. Aerobic activity builds your respiratory strength. When it comes to shedding weight, cardiovascular activity dominates all. Strength training is really good and has its place, but it does not burn calories the way cardiovascular activity does. Of course, you can not focus exclusively on one sort of exercise; boredom will also prevent you from being consistent with your exercise regimen. In addition, if you are not the sort of person who runs on a regular basis in the past, jumping in and deciding to run 5 miles right away will potentially lead to bigger health difficulties, such as muscle strains and sprains and unnecessary strain on your heart. Ease your way into consistent cardiovascular activity and you will find the numbers on the scale starting to decrease. When it comes to shedding weight, cardiovascular activity dominates all. Strength training is really good and has its place, but it does not burn calories the way cardiovascular activity does. 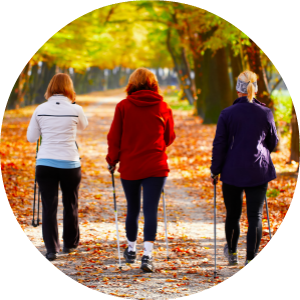 If you’re a beginner or getting back into a workout routine after a long hiatus, start with a walking workout plan. While it is fun to think that you can exercise and continue to eat what you want to, it is important to realize that you have to adapt both diet and exercise in order to see the results you want on the scale. You cannot have your weight loss goals met and continue to eat poorly. Conversely, you cannot adjust your diet so that you are eating more healthfully but eschew exercise. There is a reason why doctors tell people that a blend of diet and exercise is key in order to see weight loss results. You need to combine the two in order to see the numbers on the scale go down. Here’s the deal; we do not like to think badly of any of our habits. To do so means that we are self-critical, and no one wants that. The bottom line is this: if you want to have any sort of weight loss success, you need to meet the minimum daily requirements for a healthy diet. Without meeting those minimum daily requirements, you will not meet your weight loss goals. It’s that simple, and it will not matter how much exercise you do. 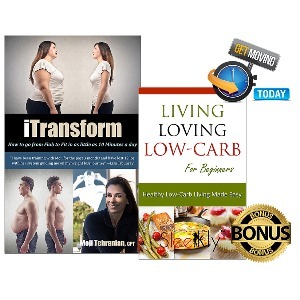 Check out ResetFactor.com, Dr. Mindy of Reset Factor is an expert in this topic. Many people often ask the timeless question about why they are not losing weight when they are working out. By considering issues of diet, exercise and consistency, you will be able to come to terms with what you need to do in order to see those numbers on the scale fall to levels that are acceptable for you. Without those considerations, you will find that you will just not meet your weight loss goals, regardless of how much working out you do. 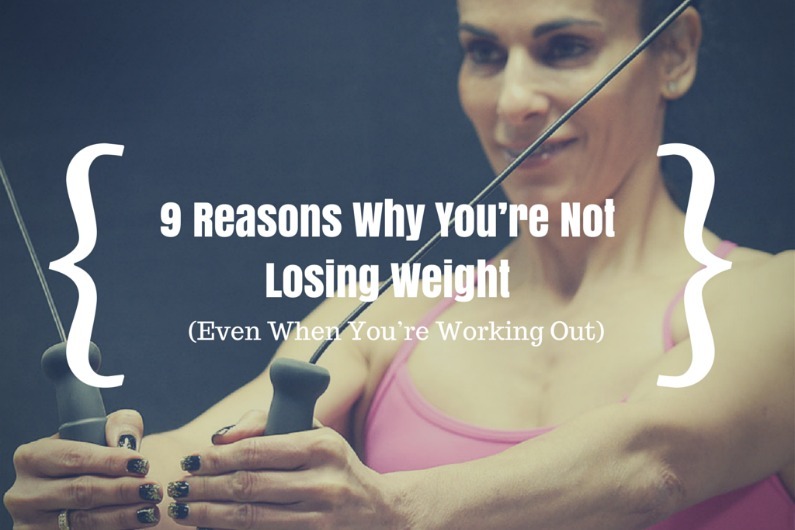 fitnessmagazine.com – Why am I not losing weight?